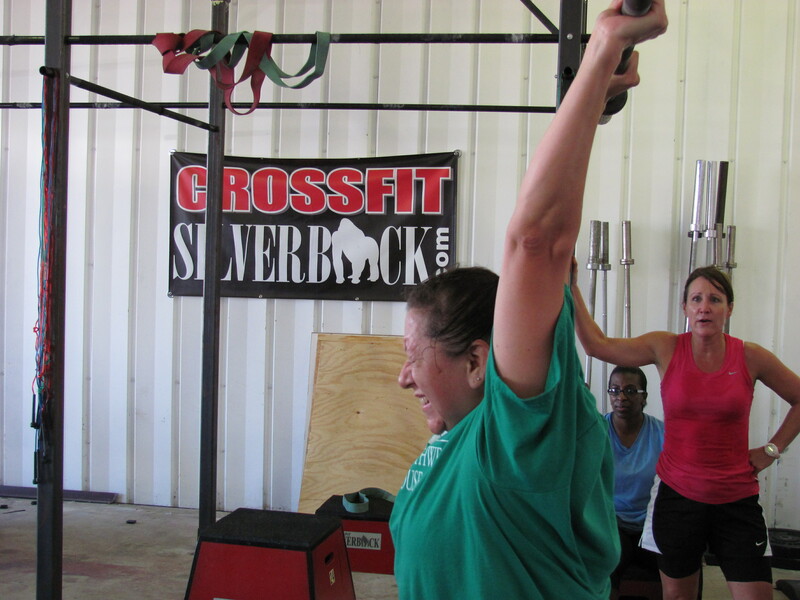 8:00 am-We will all be meeting for a Saturday Style WOD, and we know those are never boring. Pass the word! 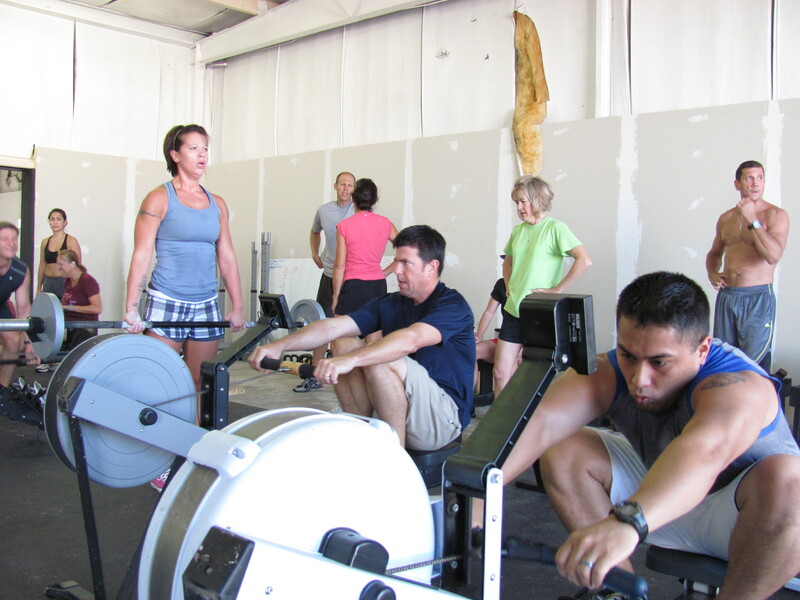 Athletes are divided into teams of 4 with mixed gender and ability levels. 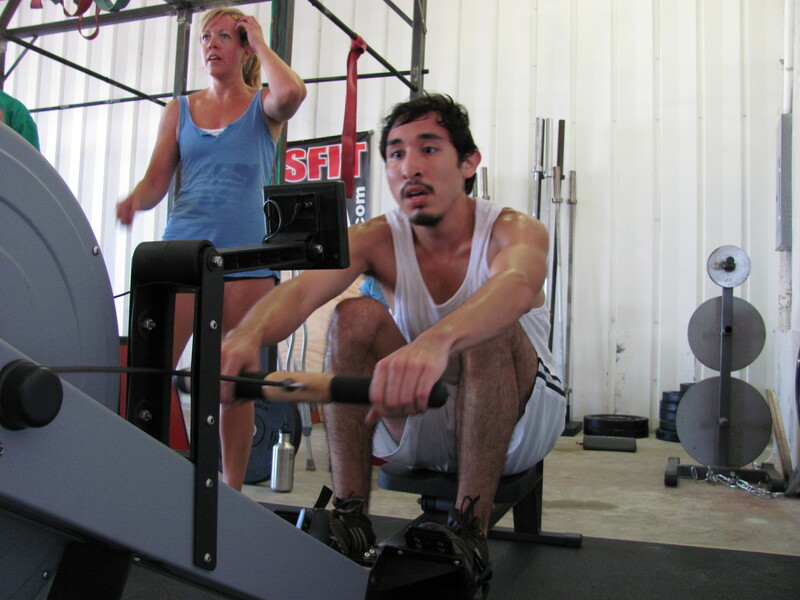 Only two athletes can work at any one time (one on the rower and one on the weights). 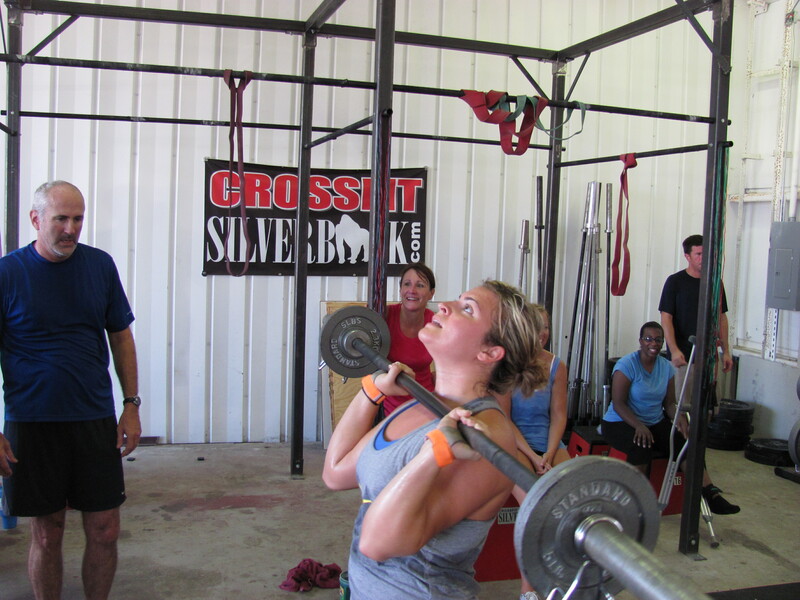 Only one bar is used and weights must be changed for the different athletes. 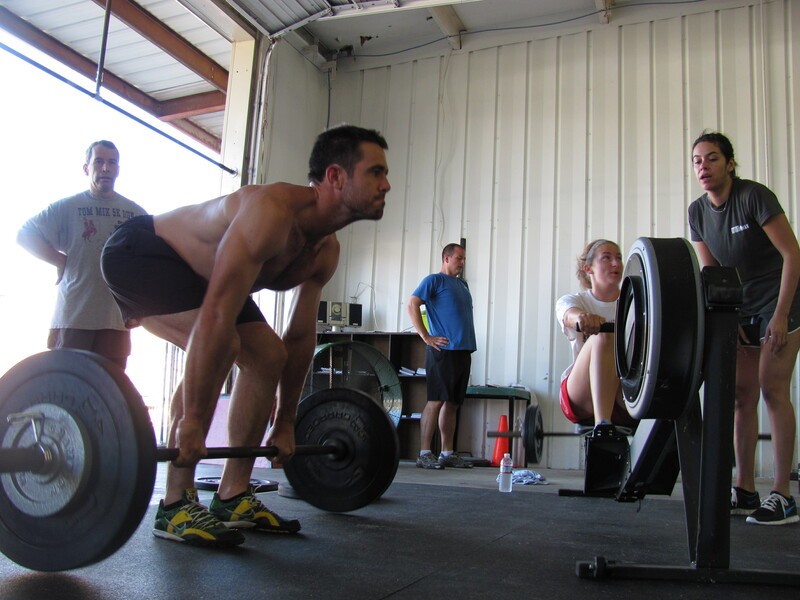 If the row finishes before the lifts it remains only one athlete lifting. Every athlete must do at least one set per movement. 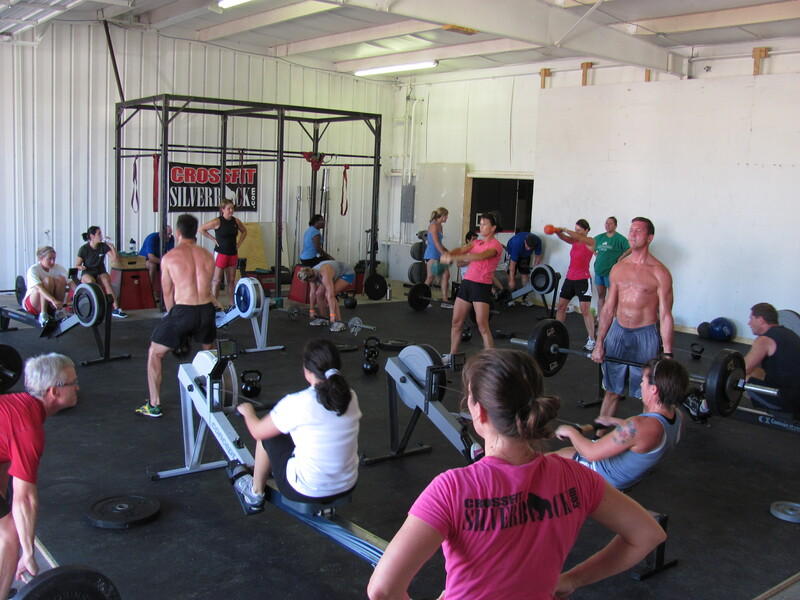 Clint (owner of CrossFit Coronado) and his wife dropped by to lend a hand to a team. Another prior military, Aggie affiliate owner. Great having you guys visit. The Silverback Nation fully employed. Gary looking more and more like our trademark gorilla. Aaron can't believe how many meters are left. 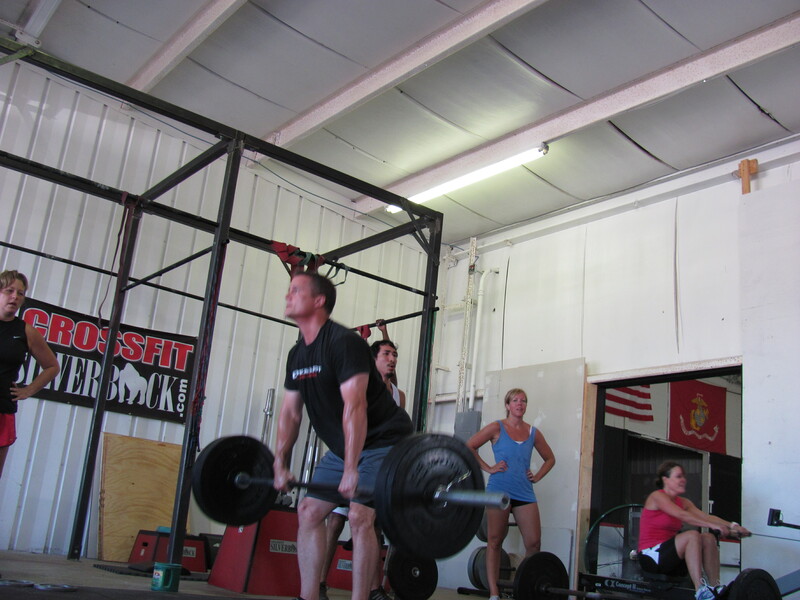 Pulling or pulling with deadlift in the early rounds. Linda is back and determined as ever. Lindsay pushing hard to get her team across the line. This crew was phenomenal, we may have just started a Labor Day tradition. Great workout today! Lots of fun with my team. Everyone did as Rx. Very Impressive. We came in at 24:03. Christine and Leslie really did most of the work knocking out about half of the row almost all of the KBS (185) and 100 of the DL. Strong work! Our First Labor Day in Tx and what better way to spend it…. it was awesome to workout with over 30 peeps!!! You all ROCKED!!!! Great workout, great gathering. Shame I couldn’t meet/talk with everyone. Our team – Val, Betsy and David – was awesome. So much so, that I only had to do 10 KBS. Yeah! Wow still walking around in a daze! Big thanks to my awesome teammates Aaron, Rene, Casey and Garrett. Now about that small person sitting next to Christina and Anna in the picture….Who’s team was she on? How many meters did she row? Did she dead lift or Kettlebell swing? She also wants to say thanks to whoever shared their cereal snack intentionally or not. I liked the fact that there were almost 40 people there from all different classes so we could all meet each other. Have a great Labor Day! Oh yeah, and good pictures too, Matt. As well as the alway clever captions. Don’t know what takes the most effort – programming, uploading or writing. Regardless, thanks. Thanks for the great workouts this week. 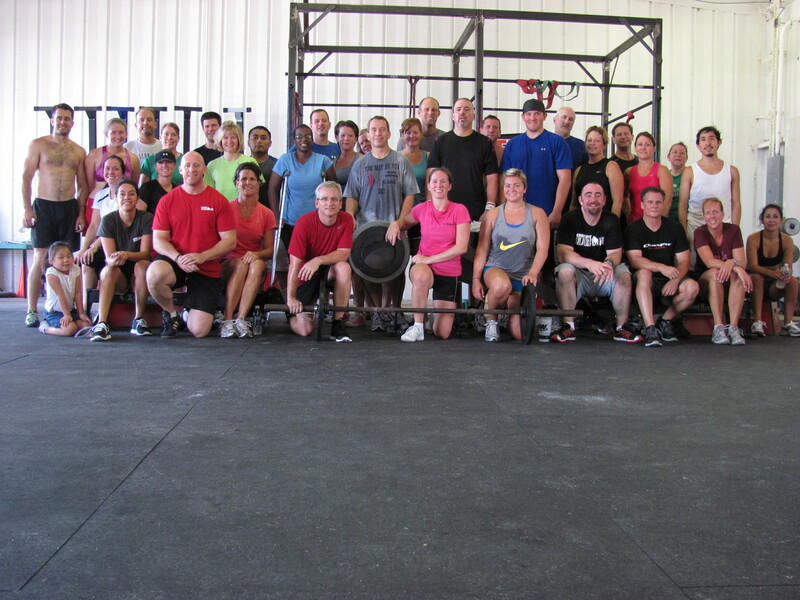 We really enjoyed the team WOD yesterday. See you all again around Thanksgiving and if anyone is ever in San Diego drop by and see us!